"Even though I feel grief that I cannot describe, I still have to smile for you," the young woman wrote on Instagram. "I cannot be sad but should be strong like you always told me to be." She said that before he'd left for the flight, Mr Pratama had joked that should he not return in time she should take the pictures and send them to him. 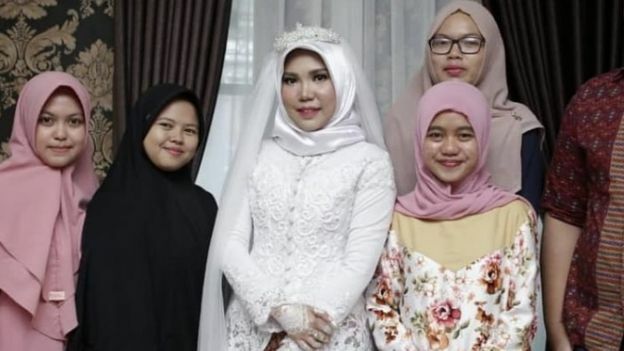 In earlier posts on her Instagram page, Ms Syari wrote that she'd known her fiancée for 13 years, describing him as her "first love". 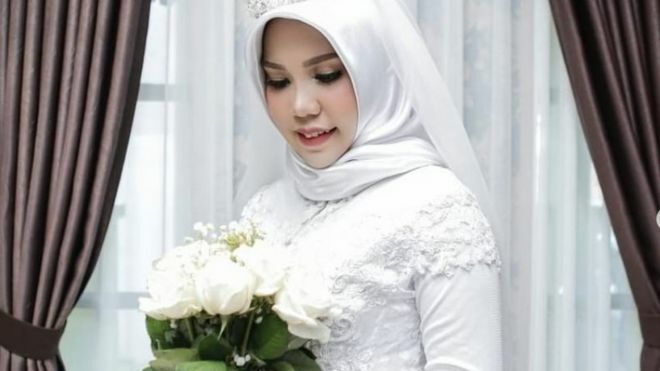 "If I don't return by 11 November, you should still wear your wedding gown that I chose for you," the photographer cites him on her Instagram account. "Wear beautiful make-up, ask for a white roses. Take good photos and send them to me."